Two men were found guilty yesterday (November 28) following a 2-and-a-half week trial at Southampton Crown Court after a man was stabbed in the neck in Watts Park on March 30, 2017. Che Yethman-Spaine, aged 20, of High Road. Tottenham was found guilty of attempted murder. His friend, Callum Jeremiah Edwards, aged 18, of Spigurnell Road, Tottenham was found guilty of causing grievous bodily harm with intent. Both men were also found guilty of possession of a bladed article in a public place. In addition Edwards was convicted of possession of ammunition. The pair were also charged with conspiracy to supply class A drugs in Southampton of which they admitted to. Alongside Edwards and Yethman-Spaine stood Miron Ramadani, aged 20, of Risley Avenue, Haringey. He was also charged with conspiracy to supply class A drugs in Southampton. All three men were from London and pleaded guilty to dealing drugs in the city. Yethman-Spaine and Edwards were in Watts Park in the city at 3pm on March 30 when they used knives to stab their 44-year-old victim in the throat. 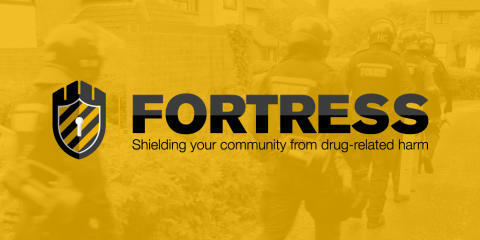 Through our campaign Fortress, we continue to try and reduce the harm caused by drugs. We work with our partners in outreach services to help free themselves from drug dependency and we execute regular police operations to prevent drug dealers, who bring violence and harm to our cities, from operating in Hampshire. The men will be sentenced on December 14.